The seemingly far-future dystopian worlds of films like Blade Runner may be closer than we think if modern-day corporations have their way. Ford was recently granted a patent detailing an autonomous police car that would be capable of pulling over traffic law violators and issuing fines or warnings by itself. Now, according to The Verge, another company is getting in on dystopian tech: Amazon. The online retail giant has recently been granted two patents for a wristband that can pinpoint the location of warehouse employees and track their hand movements at all times. These patents describe wristbands that function through the use of "ultrasonic devices" scattered throughout a given Amazon warehouse. These devices would work in tandem with a "management module" to keep an eye on everything that happens in the warehouse. 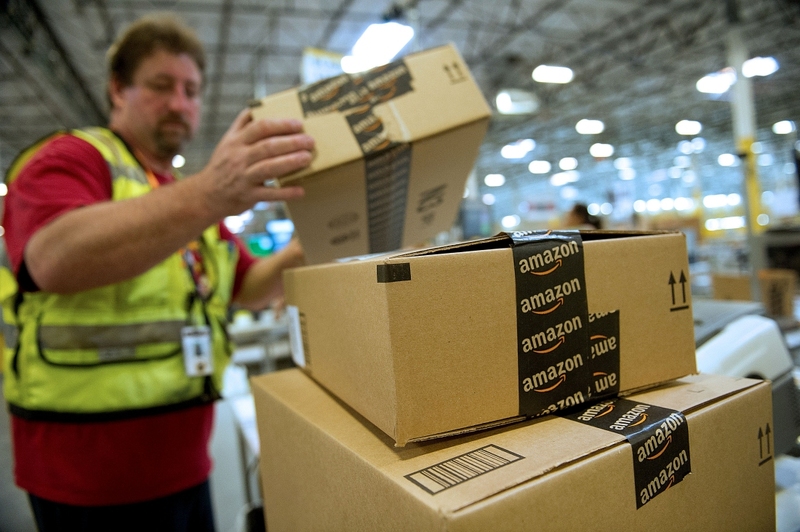 It may seem like overkill but this focus on maximum employee efficiency is nothing new for Amazon. In late 2017, Mirror reported on Amazon's less-than-ideal warehouse working conditions, describing overworked employees occasionally carted off by ambulances after collapsing on the job. Regardless, it's worth mentioning that being granted these patents doesn't necessarily mean Amazon will use them. As we noted when covering Ford's autonomous police car patent, patenting this sort of technology is often just a way for a company to prevent its competitors from using it.